St. Patrick’s Day is right around the corner, and if you haven’t already made plans to take the holiday (and the day after) off from work, we highly suggest you do so soon because everyone knows St. Pat’s is the one day when area bars open at the crack of dawn and every Detroiter can claim (s)he’s a little bit Irish. For folks who haven’t yet etched their St. Patty’s Day drinking schedule in stone, here’s a watering hole you may want to add to your list: The Old Shillelagh, which also happened to land on this list of best Irish bars in America. Opened in the mid-’70s by a Dublin-raised retired Detroit police officer, The Old Shillelagh has remained a Motor City staple ever since. 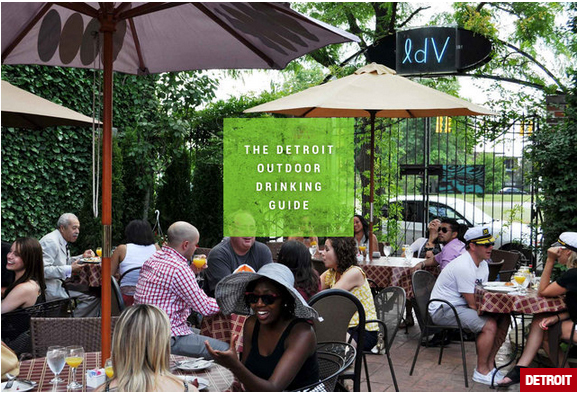 Now under a third generation of family ownership, the massive, tented St. Patrick’s Day party is legendary, and the free shuttles to all the major downtown Detroit sporting events and concerts make sure it stays appropriately rowdy the rest of the year. If you’ve never been to the Old Shillelagh, do pay it a visit. This entry was posted in Bars, Thrillist and tagged Old Shillelagh.